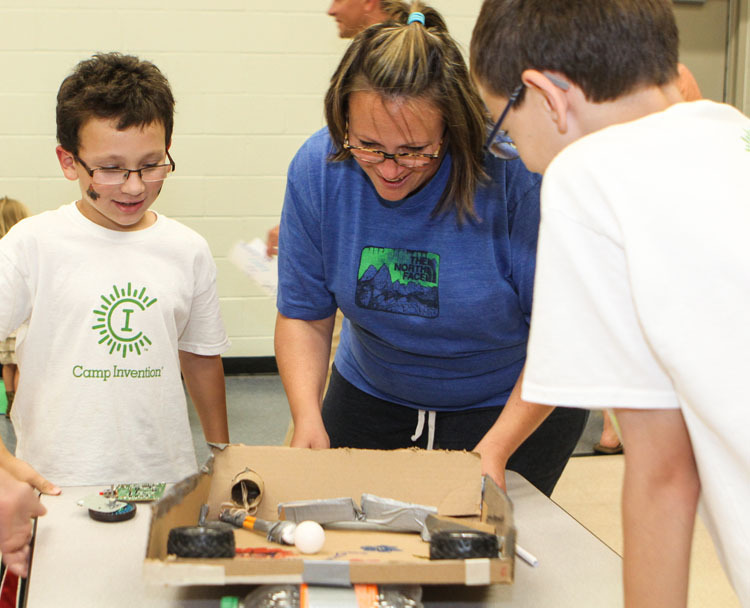 Camp Invention campers give a cheer during the final session when the kids showed off their creations to parents. 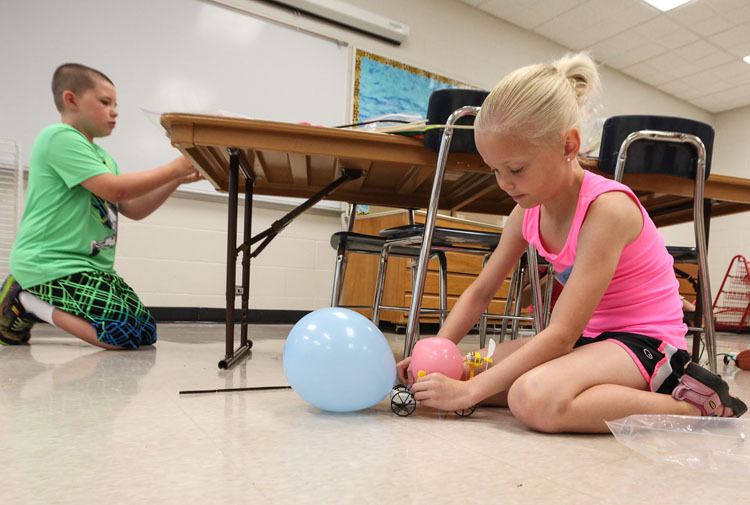 Blair Community Schools hosted Camp Invention, a nationally recognized elementary enrichment camp for students in grades one through six. 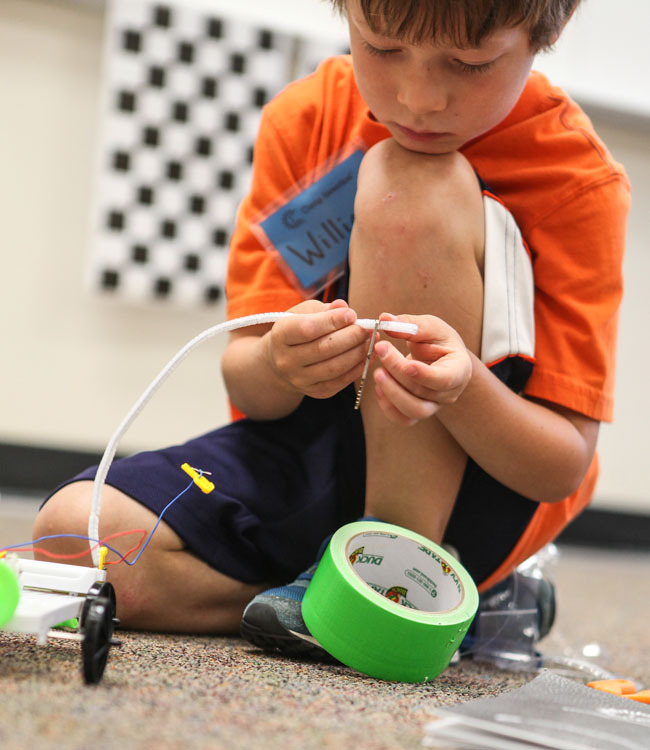 Students designed mini-vehicles created pinball machines, and created items to explore their senses. The students showed off their creations to parents and family members on Friday afternoon. Molly Kies tries out son Harry’s pinball machine. 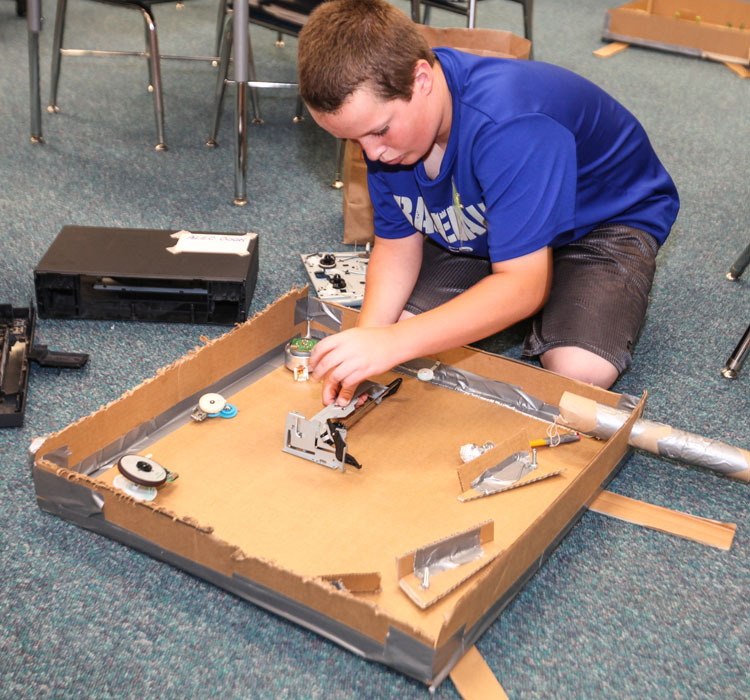 Alec Cook works on his “Pin Bug” pinball machine made from old electronics parts. William Dennis focuses intently on his mini-vehicle project. Scarlett Jones attaches a balloon to her mini-vehicle. 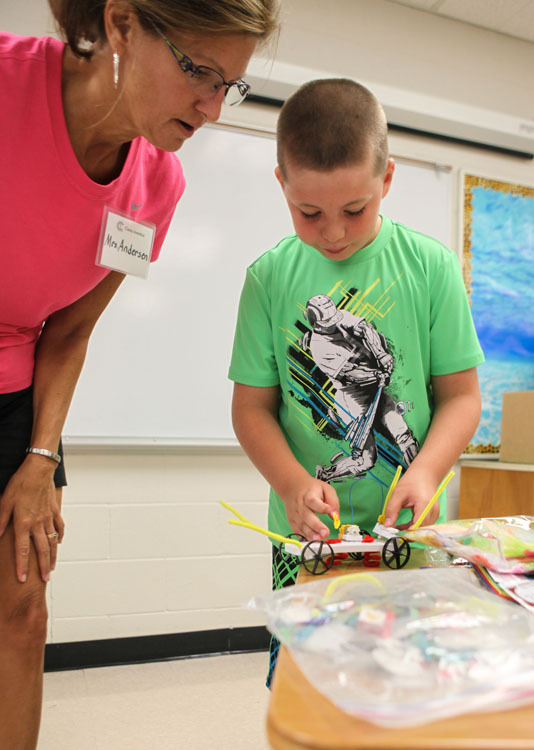 Teacher Mariann Andersen watches as Rylan Blattert works on his project. Max Tupa gets a helping hand from teacher Mariann Andersen.